Reflecting on her year as chairman, Elsbet Smith Hollywood, with Chehardy Sherman Williams, touched on some of the Greater Hammond Chamber’s accomplishments, such as the Chamber’s active role in the search for a new Tangipahoa Parish School System Superintendent, and two opportunities for membership to hear directly from new Superintendent Melissa Stilley. The Chamber also provided direct support for member legislative priorities including higher education and healthcare, and cultivated national and regional partnerships with representation on the U.S. Chamber’s Business Leads Fellowship and the Louisiana Association of Chamber of Commerce Executives. The Chamber also hosted Ready to Run, a workshop for Tangipahoa Parish residents interested in running for office. Hollywood pointed out that the Chamber is financially sound and owns the Historic Train Depot, where its offices are housed, free and clear. “You, our members, have invested in us and we are protecting your investment not only through fiscal responsibility, but through advocacy on your behalf, through collaboration with other organizations and with the common goal of improvement of our community, and by providing you with the tools you need to secure your business’ success,” Hollywood said. Accepting the gavel as 2019 Chairman, was Ginger Cangelosi with Tangipahoa Economic Development. 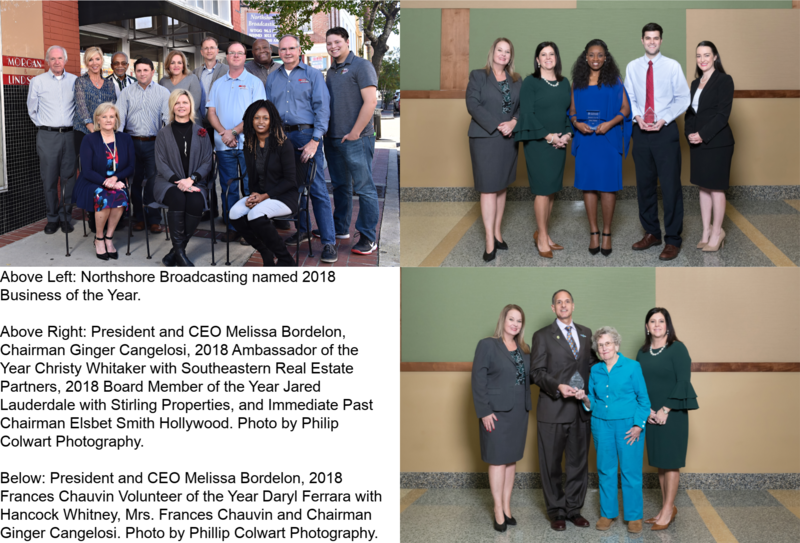 Cangelosi said she looks forward to this year with excitement, as she continues her 12-year involvement with the Chamber – the last three of which has been in a board member capacity. She encouraged businesses to join the Chamber, and assured members that their Chamber is always working for them and looking out for their interests. The guest speaker for the event was Louisiana Economic Development Secretary Don Pierson, who praised the economic development efforts the city and parish are making and the successes they are seeing. He also took the opportunity to share the status of state infrastructure, financial stability, and the momentum established in Louisiana. He spotlighted DXC Technology and strong progress made in communities with ties to educational establishments like Southeastern Louisiana University, who is one of the local education institutions who will partner with the Digital Transformation Center. “LED tries to work across sixty-four parishes. We need organizations who have direct grassroots relationships with small businesses. For this region the Greater Hammond Chamber does that and does that very well,” Pierson said. The luncheon opened with Hammond Mayor Pete Panepinto and the Chamber Ambassador Committee holding the first ribbon cutting of 2019. In 2018, the Chamber, Ambassadors and the Mayor celebrated 39 ribbon cuttings and groundbreakings. “It’s been a privilege to see the support that we give through the Chamber to the new businesses coming into our community,” Panepinto said. 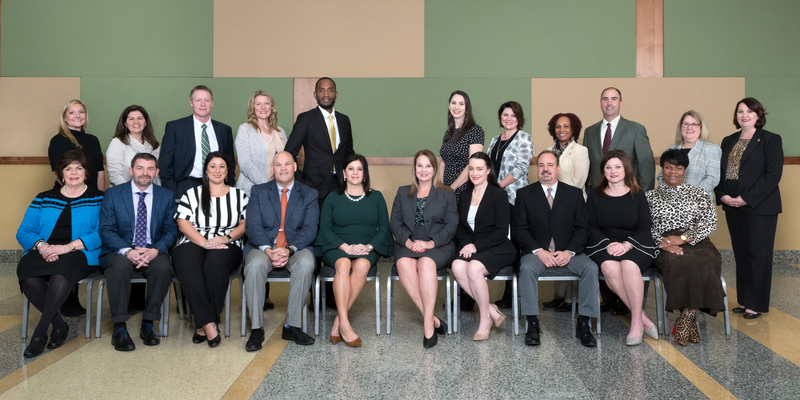 The Greater Hammond Chamber was honored to have Judge Blair Edwards attended to swear in the 2019 Board of Directors. They are Chairman Ginger Cangelosi, Tangipahoa Economic Development; Chairman-Elect Rick Sedberry, Movement Mortgage; Treasurer Kristin Spano Braud, Pedelahore & Co. LLP; President and CEO Melissa Bordelon, Greater Hammond Chamber; Immediate Past President Elsbet Smith Hollywood, Chehardy Sherman Williams; Brian Abels, Boyer, Hebert, Abels & Angelle; Glen Alack, Alack Culinary Superstores; Ryan Barker, Chappapeela Sports Park; Sally Carlisle, Berryland Insurance; Dr. Alecia Cyprian, Southeast Community Health Systems; Glenda Dobson, Cypress Pointe Hospital; Shelly Gaydos, Hammond High Magnet School; Theresa Harris, Gulf Coast Bank & Trust Co.; Casey E. Lambert, Jani-King; Dr. Kay Maurin, Southeastern Louisiana University; Marcus McMillian, City of Hammond; Lindsey Palmer, Stirling Properties; Tom Pistorius, PA Architects; Morgan Seale, Lamar Advertising; Jessica Shirey, Noland Stewart Salon; Hayley Taff, Front Porch Coaching; Belinda Vining Trepagnier, Parishes Supportive Living, Inc.; and Michael Watkins, North Oaks Health System. Conference Center, Mark Dispenza with Kaizen Strategy, Greg Drude with Wainwright Real Estate, Daryl Ferrara with Hancock Whitney, Jared Lauderdale with Stirling Properties, Meghan Notariano with Parker Layrisson Law Firm, Elizabeth Reno representing Primerica, Sandy Summers with the Louisiana Small Business Development Center at Southeastern Louisiana University, and Kim Walker with 5 Stones. Click here for event photos on Facebook. Click here to read the article on The Advocate.